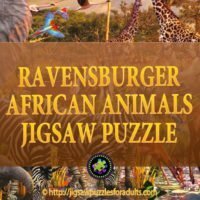 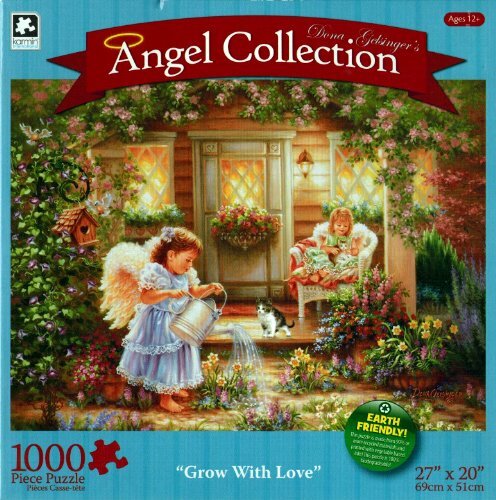 Angel jigsaw puzzles are among some of my favorite jigsaw puzzles to work on. 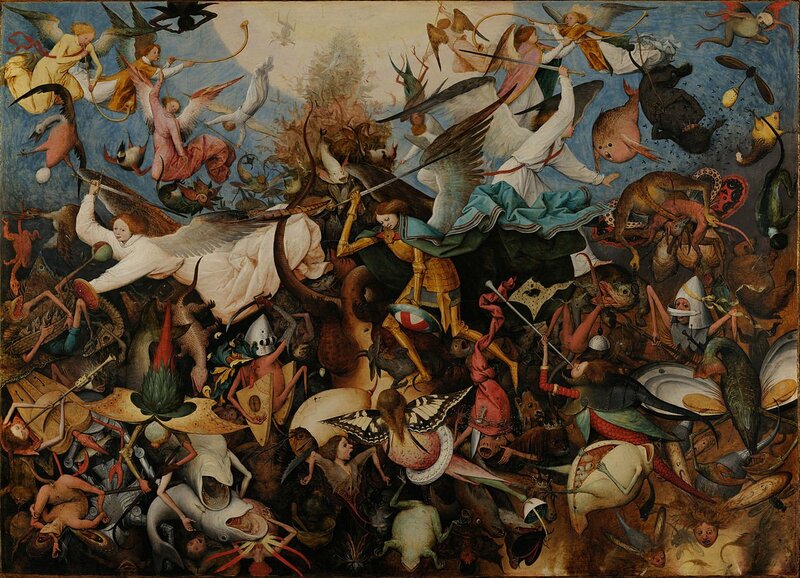 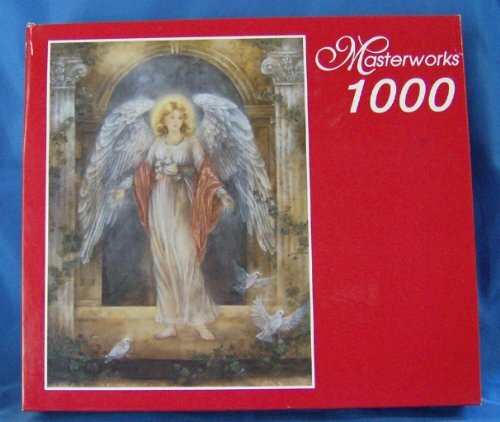 There is nothing better than spending a few hours working on a angel jigsaw puzzle. 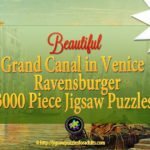 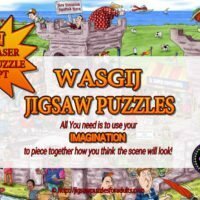 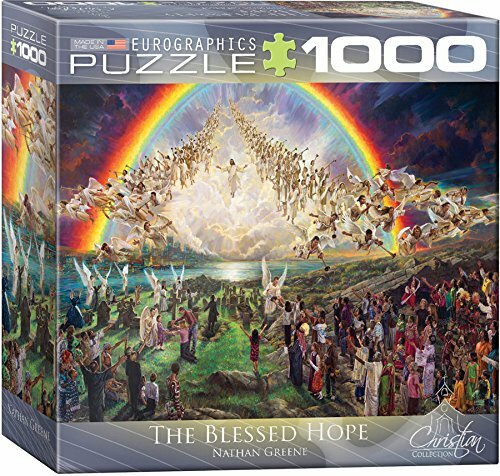 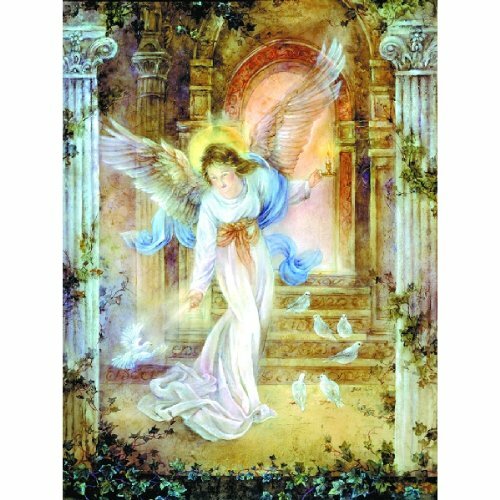 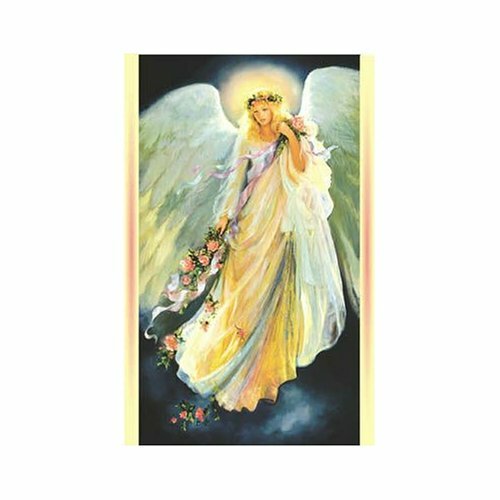 On this page you will find a collection of the most beautiful angel jigsaw puzzles in a variety of sizes, shapes, and complexity. 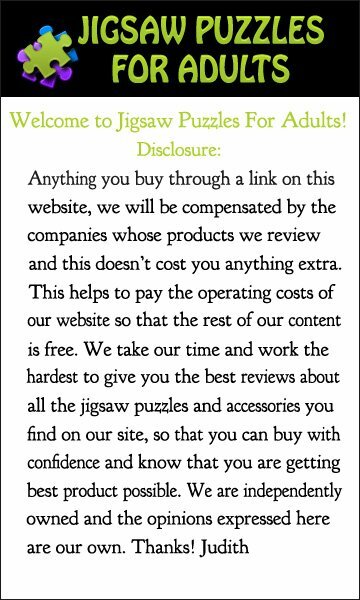 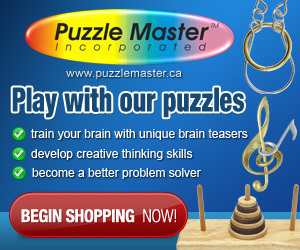 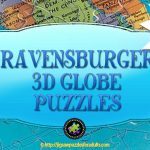 Puzzles are a fantastic pastime and hobby for just yourself or for the whole family. 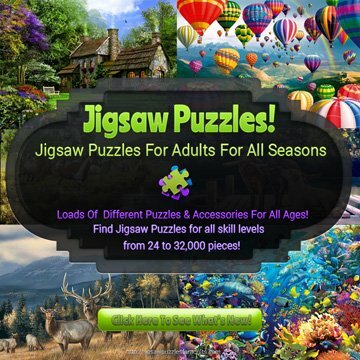 They are a really nice way to get away from the fast paced hectic pace of everyday goings-on. 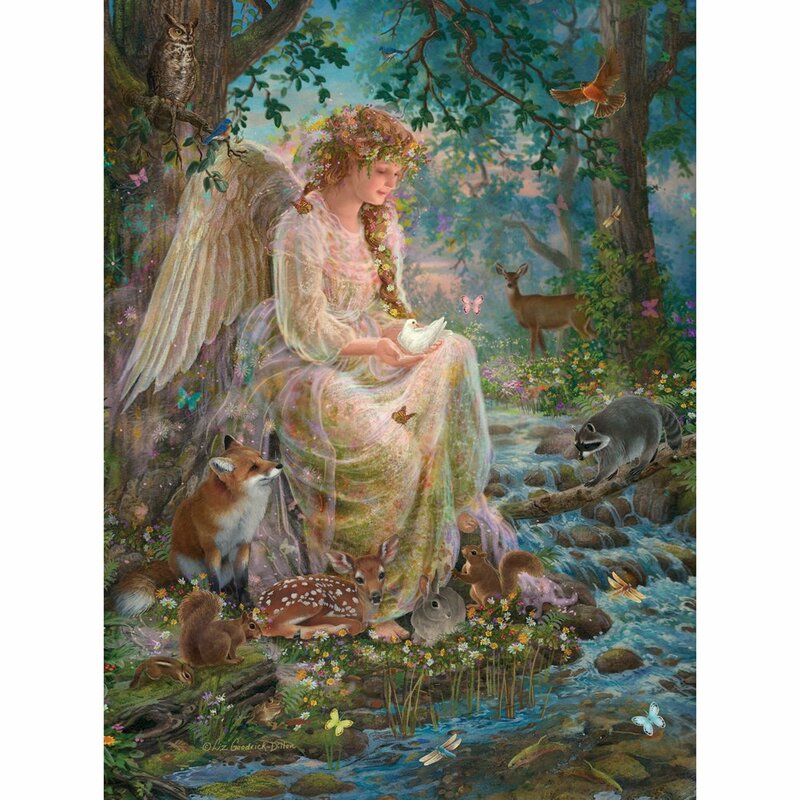 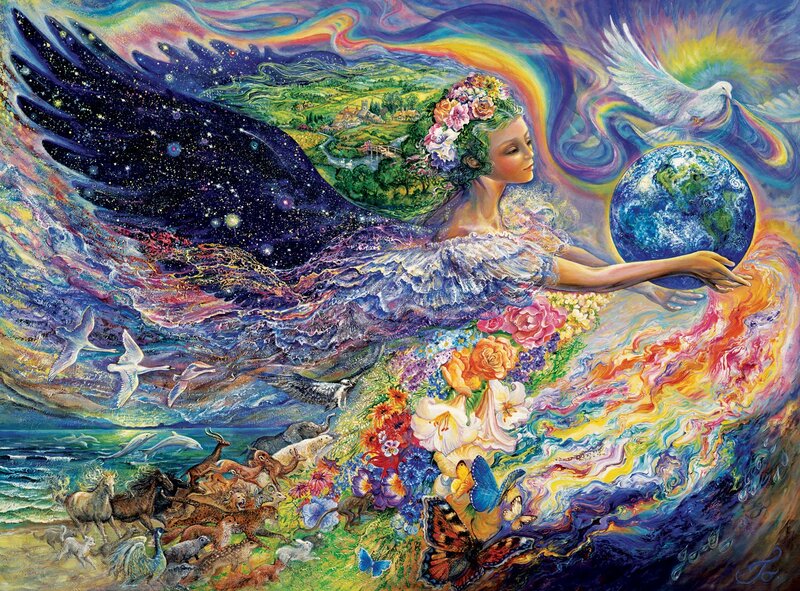 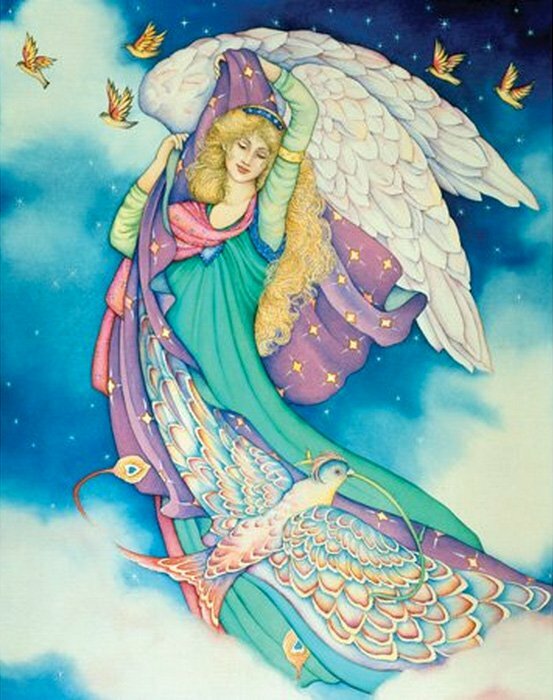 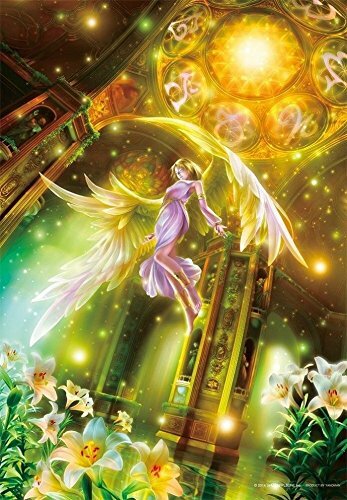 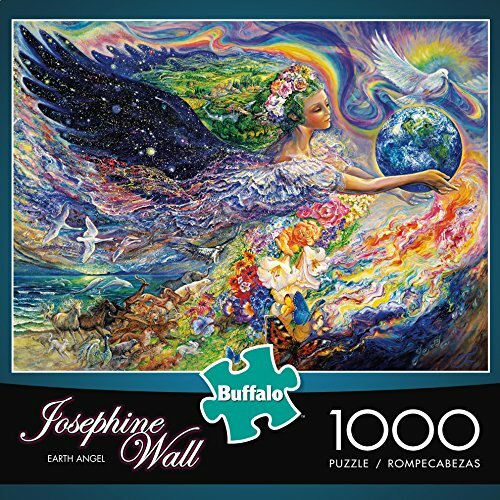 This 1000 piece jigsaw puzzle by Josephine Wall is based on her painting “Earth Angel”. 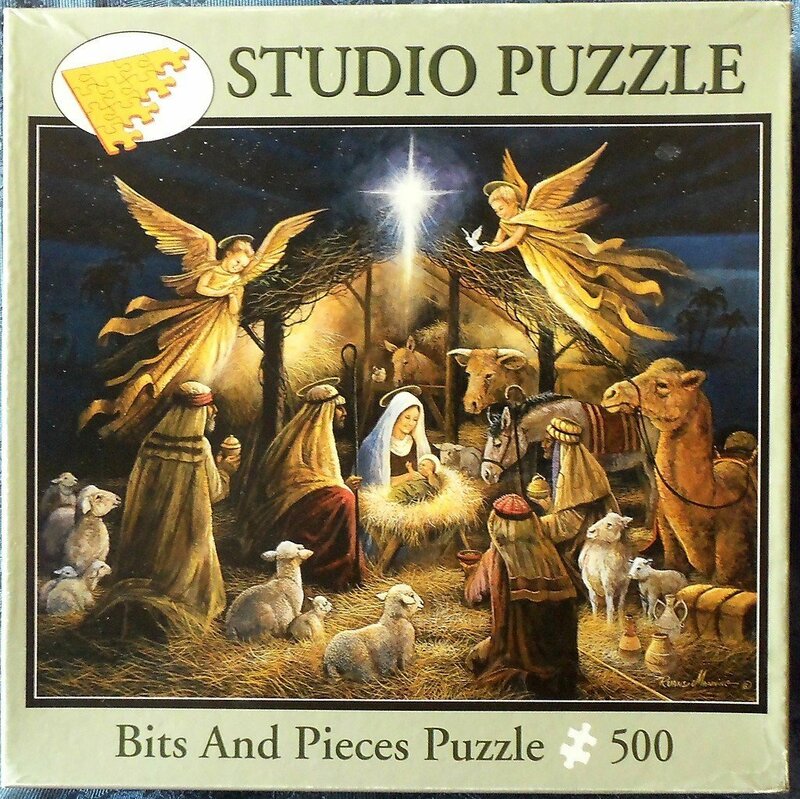 This puzzle measures 26.75 inches by 19.75 inches when finished. 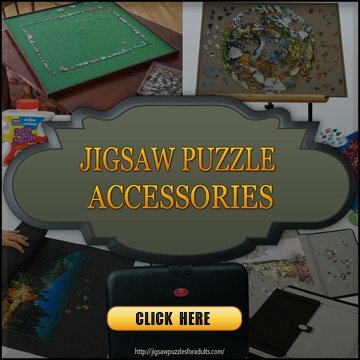 Manufactured in the U.S.A. by Buffalo Games out of premium quality materials. NOTE: comes with bonus poster if you need a reference for putting the puzzle together. 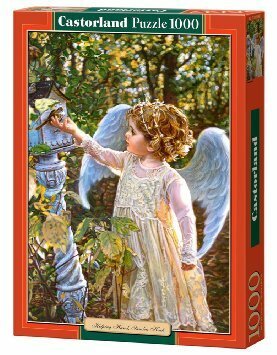 This “Earth Angel” jigsaw puzzle by Josephine Wall is absolutely stunning 1000 piece puzzle created from her famous painting by the same name. 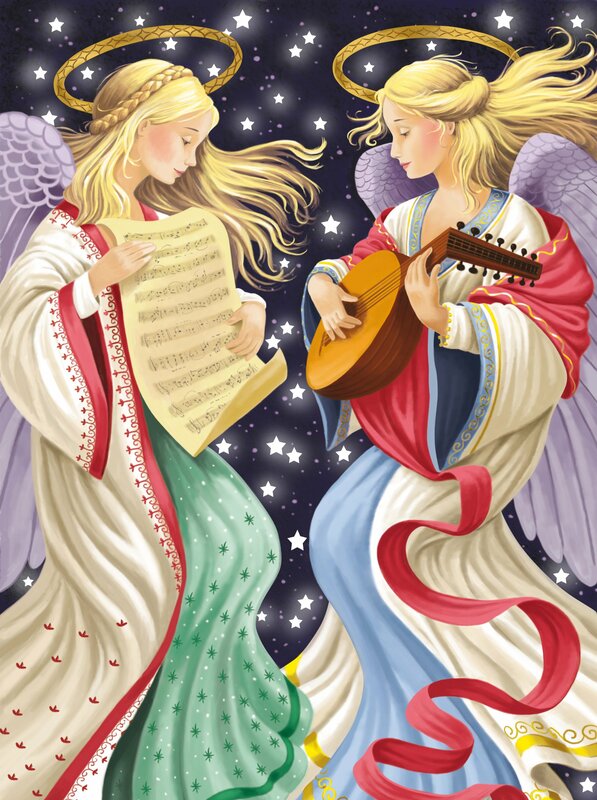 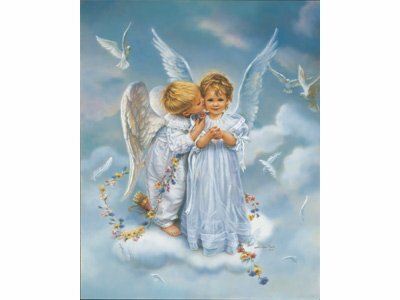 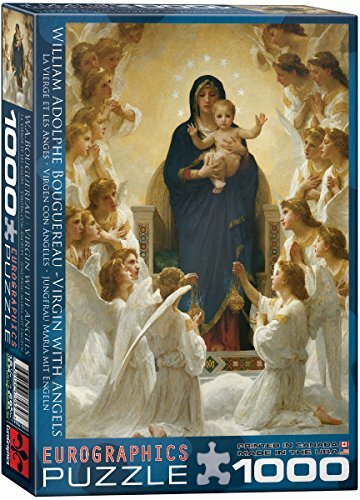 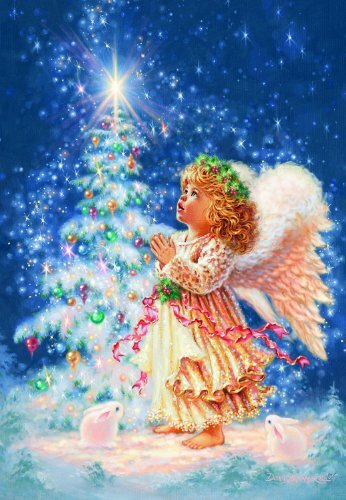 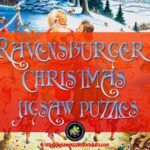 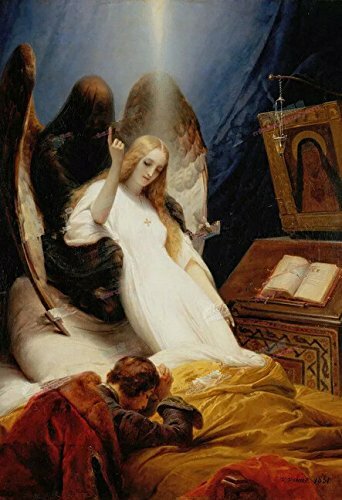 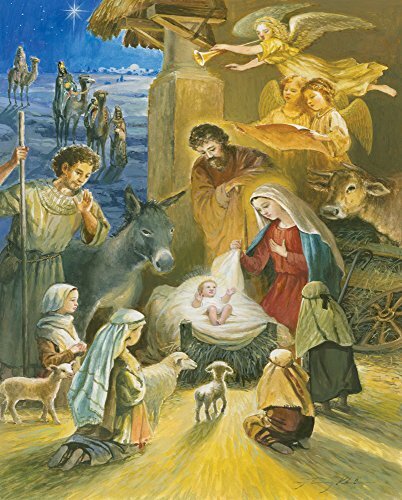 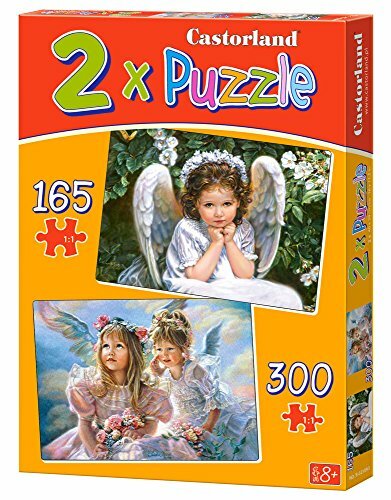 This Two Angels 1000 piece jigsaw puzzle by Ravensburger would make the ideal Christmas gift with it’s two angelic angels floating in the night sky. 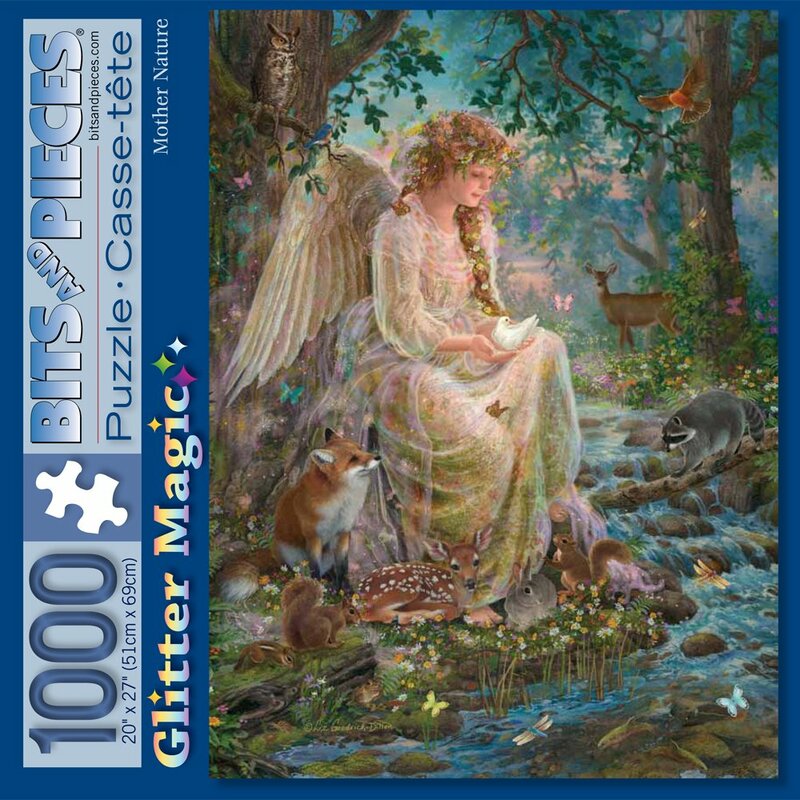 Bits And Pieces glitter effects puzzles contain sparkling color glitter to enhance the shimmering quality of the light. 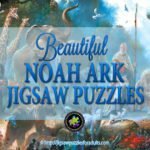 This Mother Nature jigsaw puzzle by Liz Goodrick-Dillon is very challenging but beautiful. 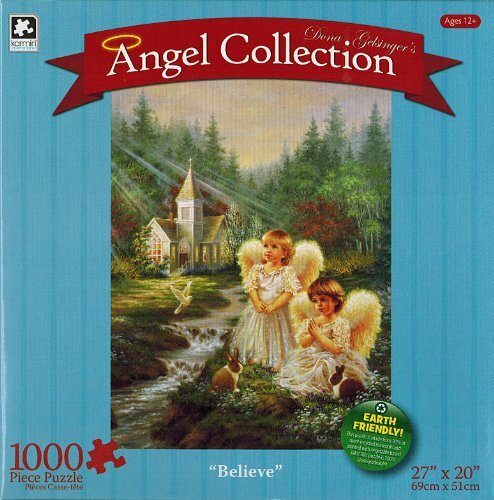 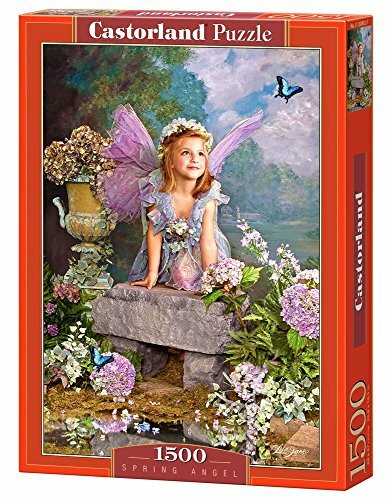 This beautiful angel Jigsaw Puzzle “Believe” showcases the art work of Dona Gelsinger and displays the way she captures the innocence of children in angelic poses. 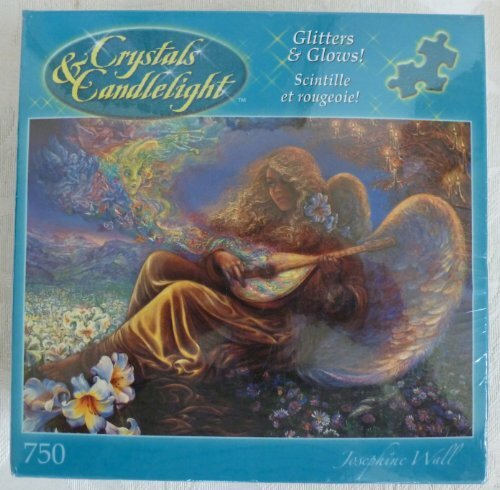 This angel jigsaw puzzle is truly amazing. 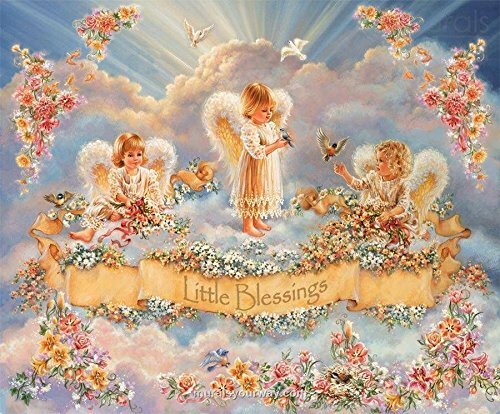 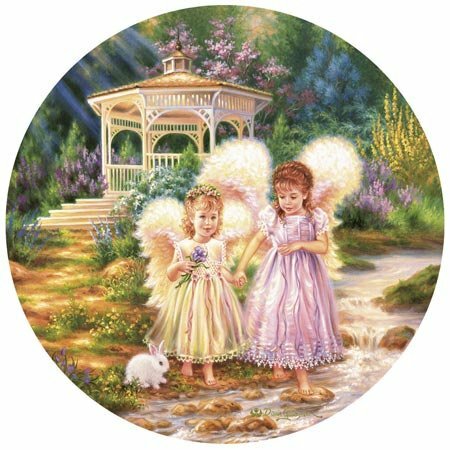 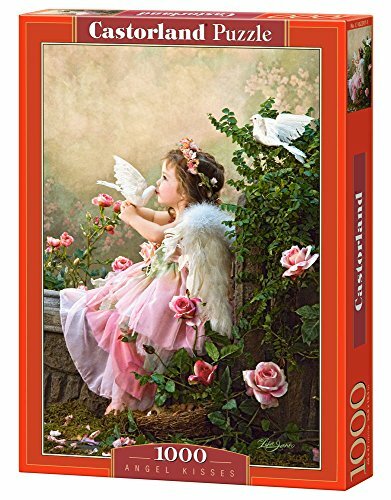 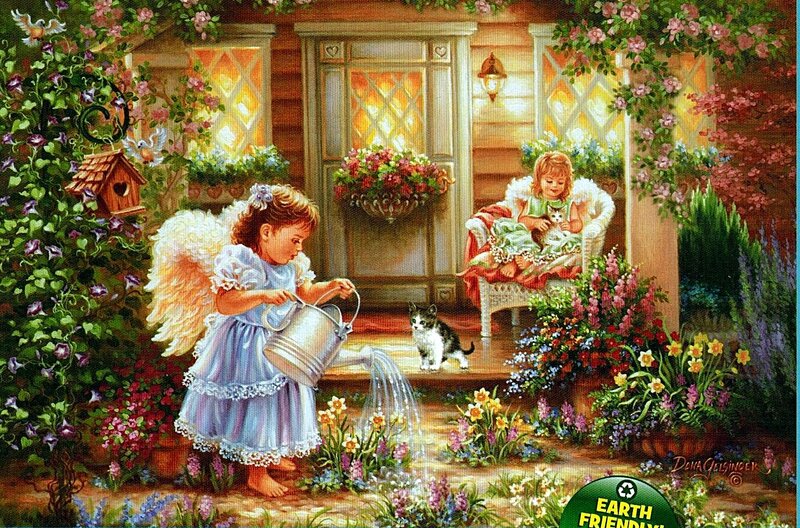 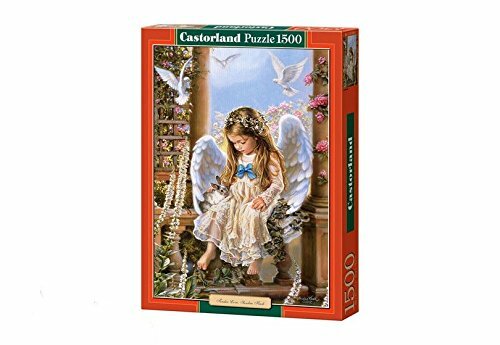 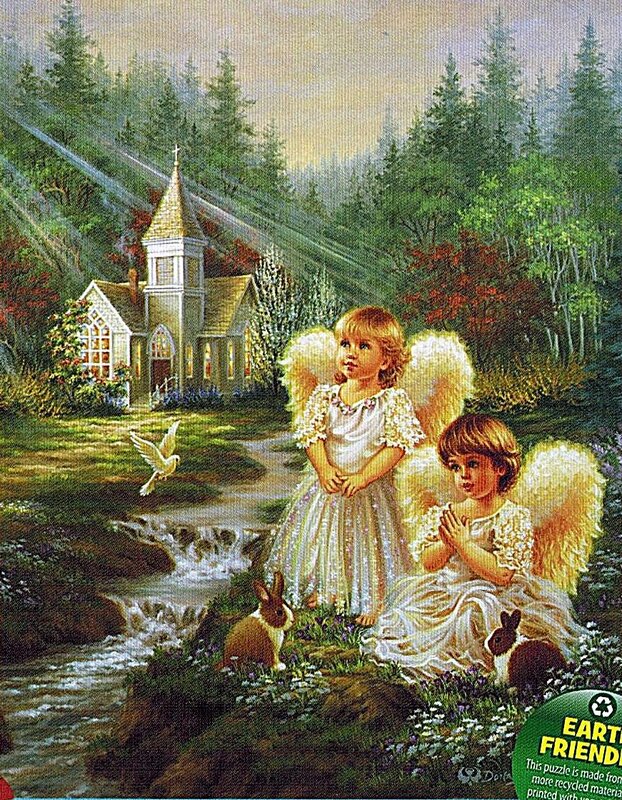 This beautiful Grow With Love jigsaw puzzle gives us a gives us a chance to view the art work of Dona Gelsinger in this puzzle as she captures the innocence of children in angelic poses. 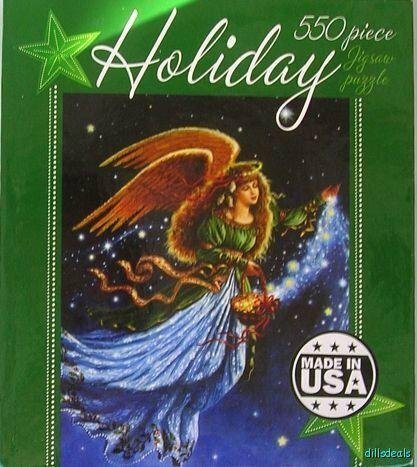 You won’t want to miss these angel jigsaw puzzles. 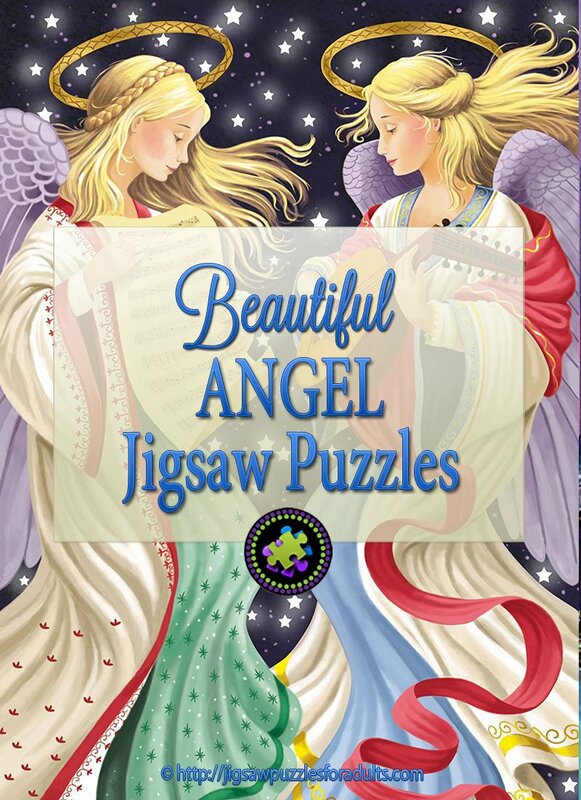 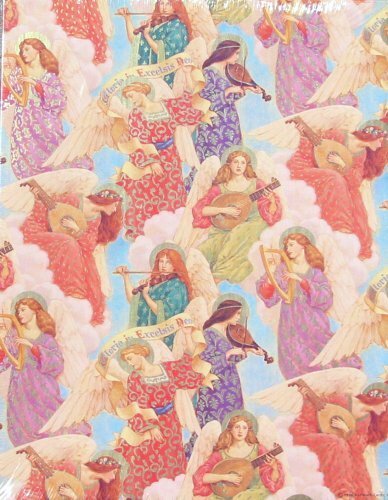 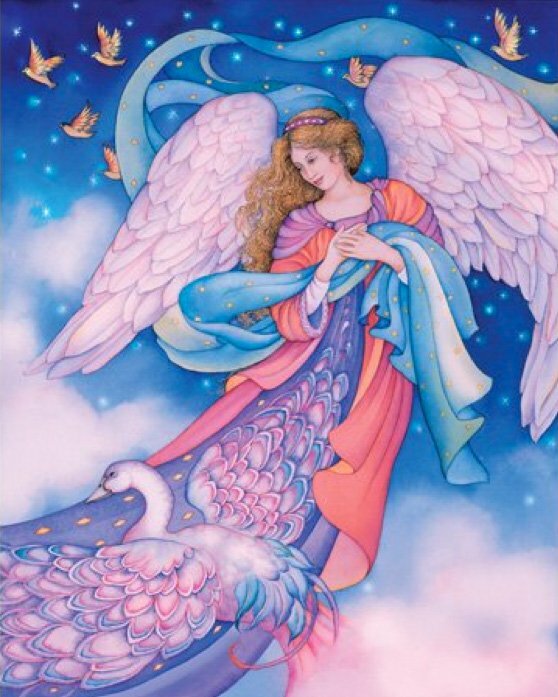 Here are a few more beautiful angel jigsaw puzzles that might interest you. 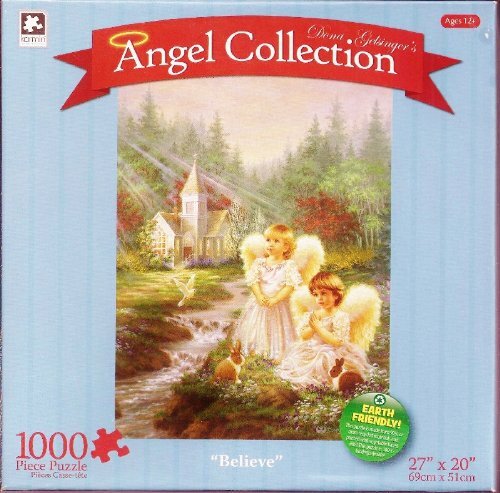 There are so many angel jigsaw puzzles available that it’s to just choose one. 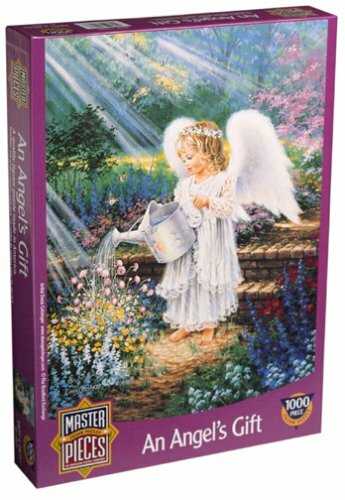 This collection is by far not all of the angel puzzles that are available to buy but it gives you an idea of the collection.